A beautiful, bright smile isn’t only for the rich and famous. You can have the smile you have always wanted, boosting your confidence and self-esteem, with a personalised Smile Makeover package at Dental Perfection. We offer a complete range of treatment options all under one roof at both our friendly, comfortable practices in Coventry and Kettering. We work closely with you to understand exactly what you would like from your new smile, and build a treatment package that will deliver exactly the smile you want, from straightening to whitening or filling gaps, the choice is yours. Maybe you’re keen to look at straightening and aligning your teeth, in which case we will carry out a detailed assessment of your suitability for our range of orthodontic treatments, helping you decide with recommendations that could be incredibly discreet or generate fast results. 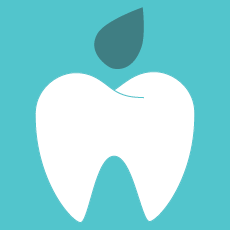 Perhaps you feel your teeth are uneven, discoloured or your have lost a tooth in the past. We can explain your options for replacement, from partial dentures to dental implants. Our teeth whitening treatment is also a fantastic way to ensure your smile is as bright and white as you would like it to be. Whatever results you are looking for, we will help you build a package exactly for you. This may be whitening treatment completed in a lunch break, or several months or years of full smile reconstruction. At the end of your Smile Makeover treatment you will have a beautiful new smile you will want to show off to the world. To find out more about getting your own Smile Makeover and to book a consultation, get in touch.